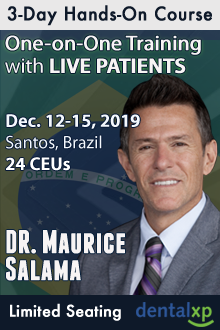 Course Summary: Learn all of these techniques on LIVE PATIENTS with ONE_ON_ONE training from one of the best clinicians in implant dentistry, Dr. Maurice Salama! 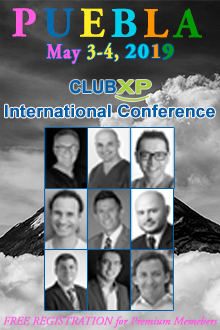 An Exceptional opportunity to become more skilled in implant and regenerative surgery. Course Summary: Oct 29 - Nov 3, 2019 DentalXP is creating a unique immersion opportunity for clinicians interested in the most efficient way of taking multiple hands-on programs in the most critical subjects of implants, esthetics and reconstructive dentistry.